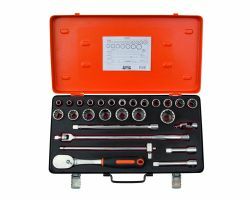 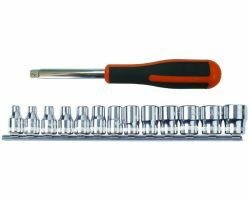 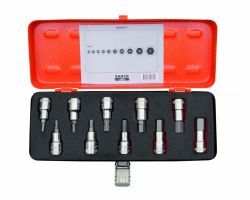 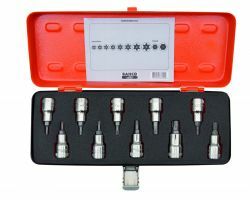 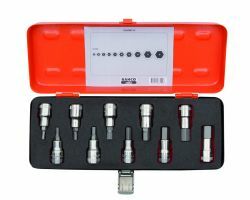 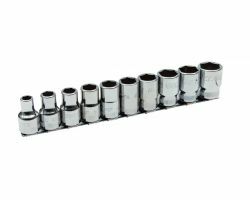 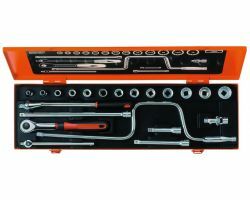 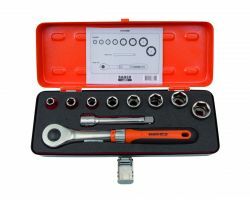 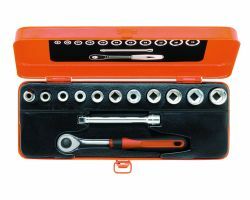 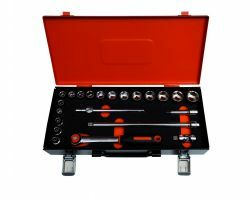 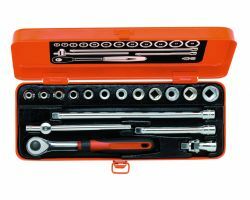 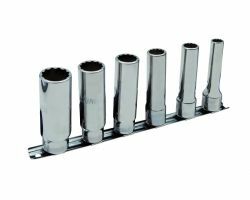 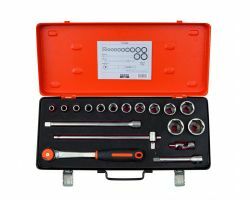 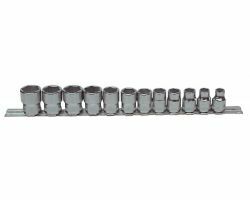 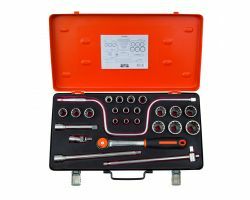 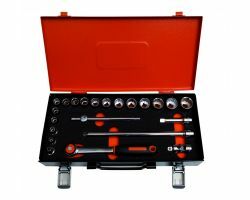 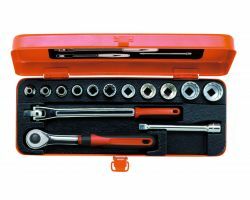 See our range of Bahco socket sets online at straightset.co.uk. 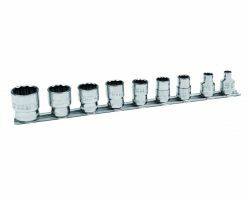 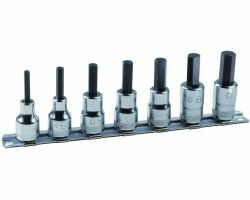 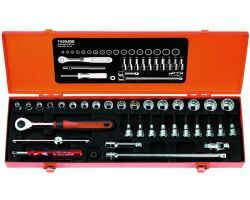 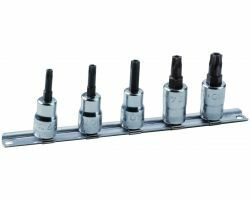 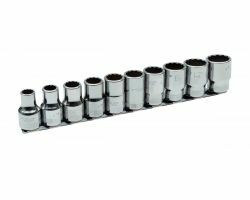 Socket sets come in a range of sizes and options, including on a rail and in a case. 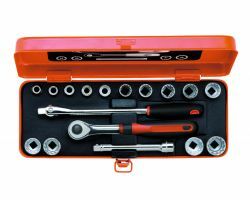 Straightset are leading garage equipment experts, with 30 years experience in the design, supply, installation and servicing of garage equipment in car and commercial workshops, we have partnered with Bahco to bring our customers high quality Bahco Workshop Tools for Automotive Solutions. 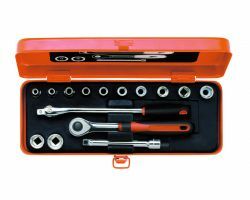 If you require any advise or help please contact our friendly sales teams on 01909 480055 or info@straightset.co.uk. 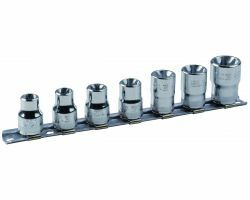 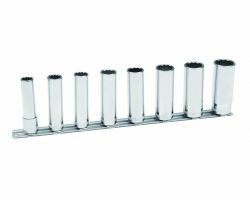 Bahco 7409MR/S7 3/8" socket set with 7 pieces of ref 7409M on Rail-187.